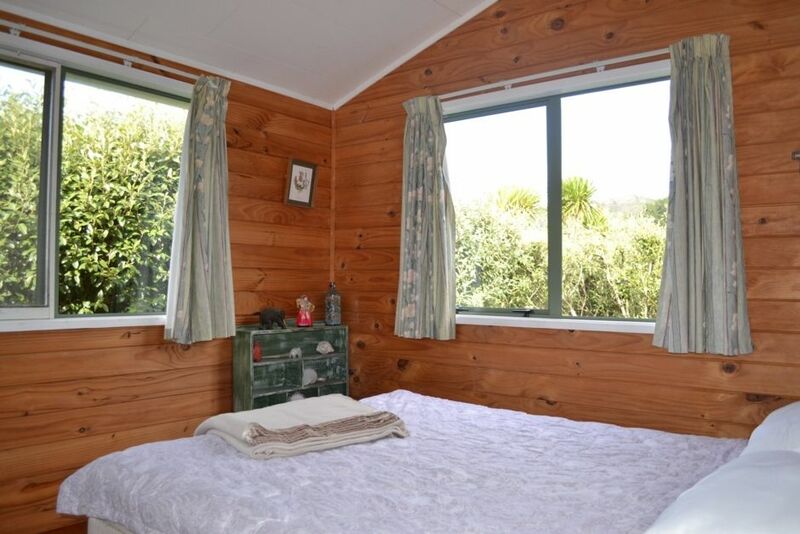 Watson’s House ideal for the family is situated just a short stroll across the sand dunes to the beautiful Medlands Beach on Great Barrier Island and is available for holiday rental. Comfortable bach living with the added bonus of a big backyard. Come away for a true holiday beside the beach, this bach uses only 12V power for lights, bring your own books, or enjoy the books and games supplied. Medlands Beach is the favourite location for holidays on Great Barrier Island. Take a walk along the beach, enjoy a surf at this well known location. Venture further and have lunch at at cafe in Claris or Tryphena or enjoy a walk on the DOC tracks. Watsons House is the ideal base for your family holiday on Great Barrier Island. 12 Volt power only, for lights, NO electrical appliances can be used. This house only has 12V power, you will not be able to use electrical appliances or charge your cell phones. Great Barrier Island was a super place to have a get away from it all holiday. Watson's House is in a super spot close to the wonderful sands of Medlands beach. We enjoyed good fishing, walks, swimming and beach games. The house provided everything our multi generational group needed. Awesome bach across the road from the stunning Medlands Beach. Awesome bach across the road from the stunning Medlands Beach. We couldn't have asked for a better location and the house was great for a toddler too. Definitely recommend as a place to stay!! Well located. Well appointed, clean, comfortable. Big thanks to David for being extremely helpful, friendly and readily available for us.